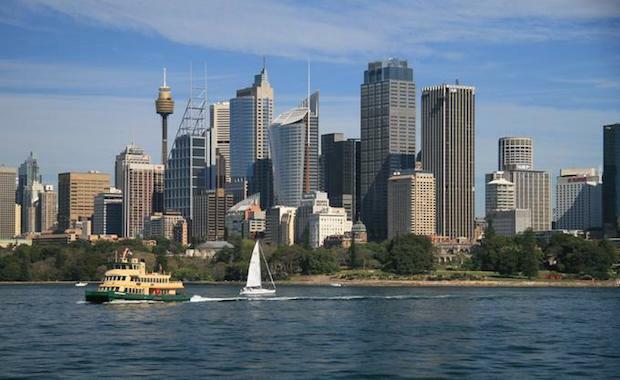 The Sydney apartment market is one of the hottest in Australia, with around 5,800 apartments under construction around inner Sydney, and 11,500 apartments set for completion over the next three years, according to BIS Shrapnel. To support this growing trend toward apartment living in Sydney, NSW Planning Minister Pru Goward has announced new apartment planning guidelines. Ms Goward said the changes would improve housing choice and put downward pressure on house prices. She said the cost of a new apartment could be slashed by up to $50,000 under these new guidelines. The guidelines will apply to 22 councils: Ashfield, Auburn, Bankstown, Botany Bay, Burwood, Canada Bay, Canterbury, City of Sydney, Hurstville, Kogarah, Lane Cove, Marrickville, Leichhardt, North Sydney, Parramatta (city centre), Randwick, Rockdale, Ryde, Strathfield, Waverley, Willoughby and Woollahra. public comment until 31 October. The guidelines require every new apartment in NSW to have a balcony and access to shared open space. The guidelines outline the importance of solar and daylight access, common circulation and spaces, balconies and private open space, and natural ventilation. The guidelines also include tougher rules on screening out noise and a minimum 35 square metre size for studios. Ms Goward said: "Apartment living should not mean that quality is sacrificed - and that is what our changes ensure by setting minimum standards for communal open space, light, air and privacy." Under the new guidelines, new Sydney apartments will no longer require a car space if they are located within 400 metres of a transport hub, such as a bus interchange or railway station. Hassell principal Matthew Pullinger, who represented the Australian Institute of Architects in government consultations about the changes, told News Ltd an underground car park was one of the most expensive aspects of a building, costing between $50,000 to $70,000 per underground car spot. This guideline reflects the shift of preference for apartment dwellers toward public transport. NSW Bureau of Transport Statistics data shows a reduction in the number of people aged under 35 who have a driver’s licence — dropping from 84 per cent in 1998 to 74 per cent in 2009. Chris Johnson, chief executive of the Urban Taskforce, which helped develop the guidelines, said the minimum requirements still allow more parking if the market supports it. “We are keen to look in more detail at the issue of above ground car parking due to the excessive cost of below ground parking. The government may need to review the impact on floor space ratio requirements in this area,” he said. The new guidelines highlighted the importance of consistency across the state. Mr Johnson said that it was important that the state government regulate the standards set out in the guidelines, and not allow each individual council to have separate controls. “The previous design code had been over ridden by some councils wanting to set their own standards. The new amendments to the State Environmental Planning Policy makes it clear that council development control plans cannot be inconsistent with the Apartment Design Guide," he said.